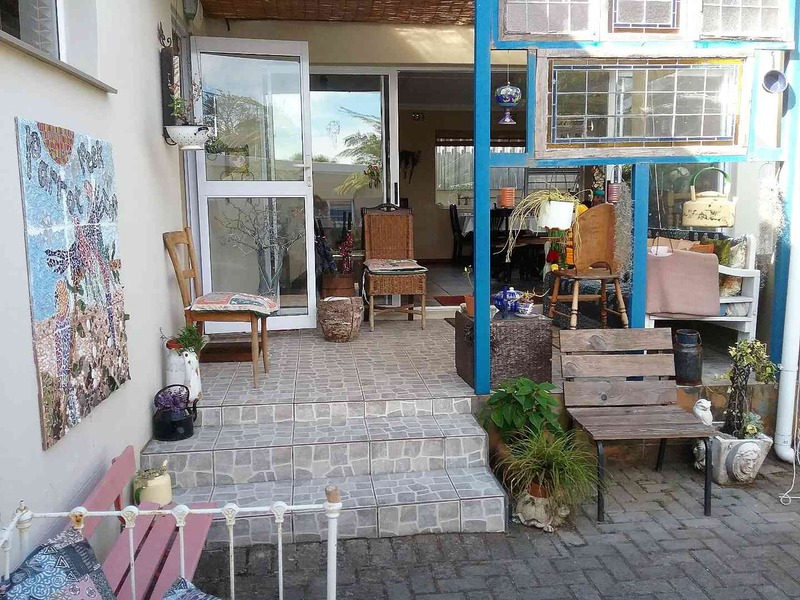 FROM R385 PER PERSON p.p. 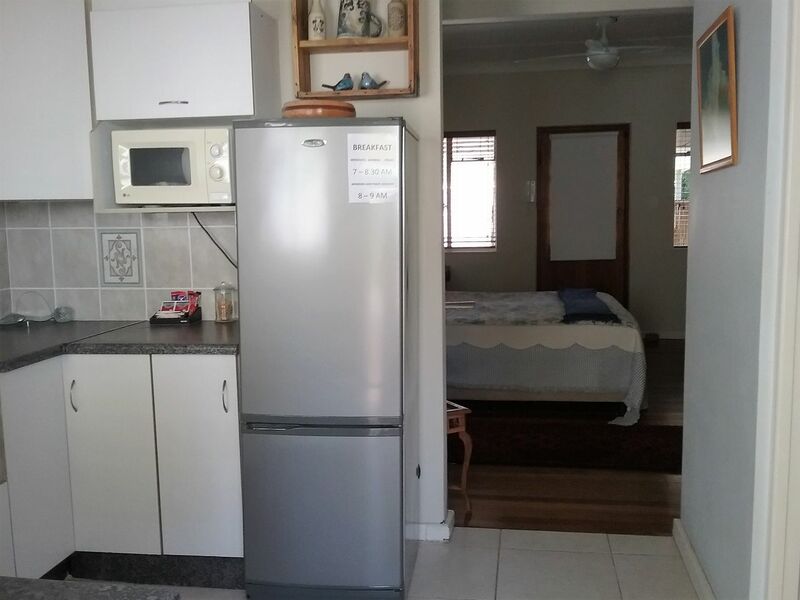 Parrot Peek Inn hosts 5 units each with its own entrance. Three of these have self-catering facilities. Relax and enjoy the comfort of individually decorated en-suite bedrooms. There is safe off street parking. 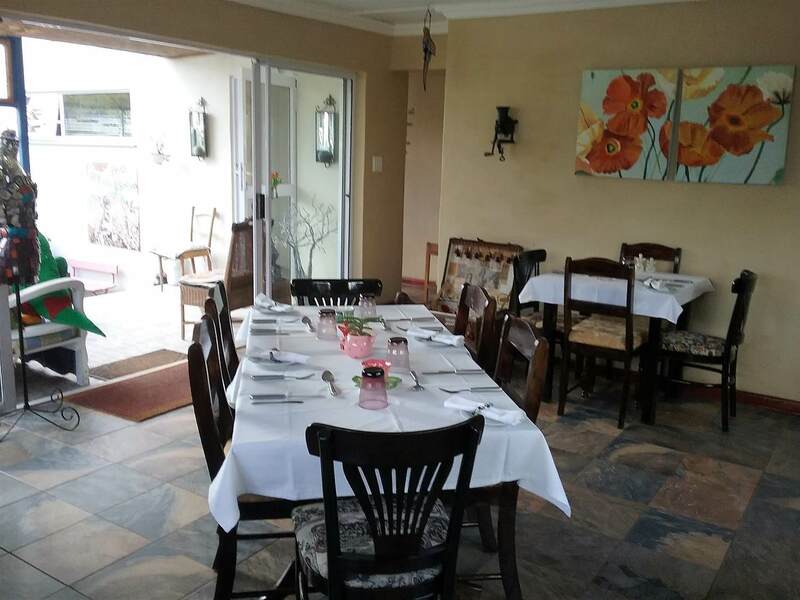 A Full English Breakfast is served daily between 07h00 and 08h00 during weekdays and between 08h00 and 09h00 weekends and public holidays in the sunny dining room. 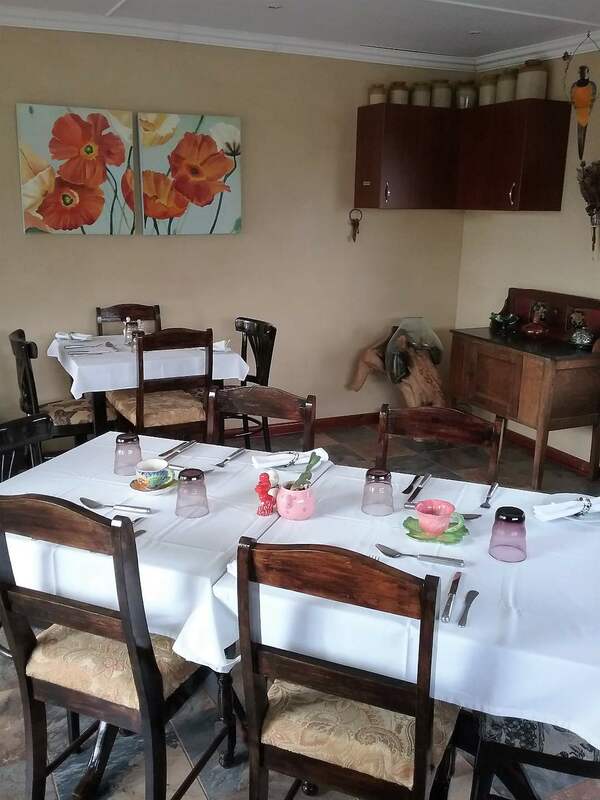 The tranquil atmosphere at breakfast provides a wonderful start to your day. Should you require breakfast earlier or are on a special diet i.e. vegetarian, please make the necessary arrangements when you arrive. At an additional charge dinner is served on request. 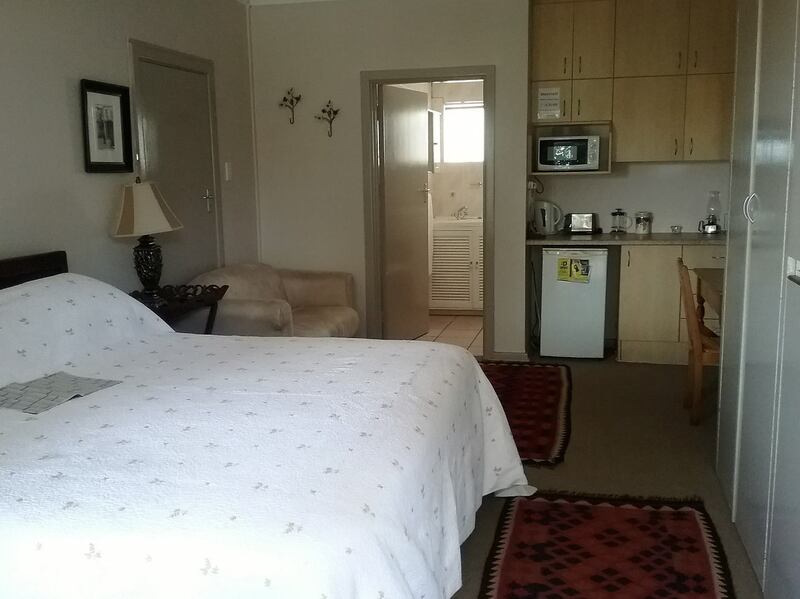 In-Room facilities: Each room has a small fridge, coffee/tea facilities, TV with DSTV Heaters/Ceiling fans, hairdryers, toiletries, ironing boards and irons and umbrella’s (for those rainy days). No smoking is allowed in the rooms. 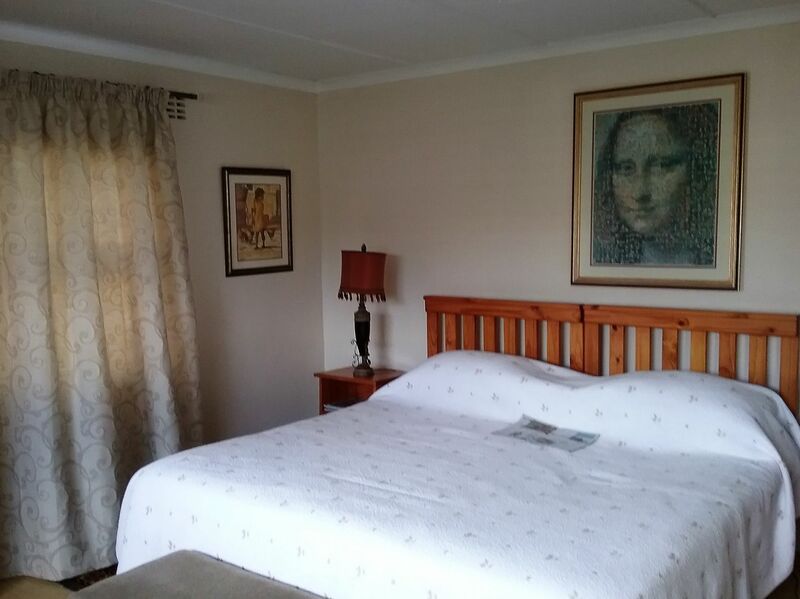 Establishment facilities: Safe off street parking, braai area, airport transfers, wireless internet and laundry (on request). 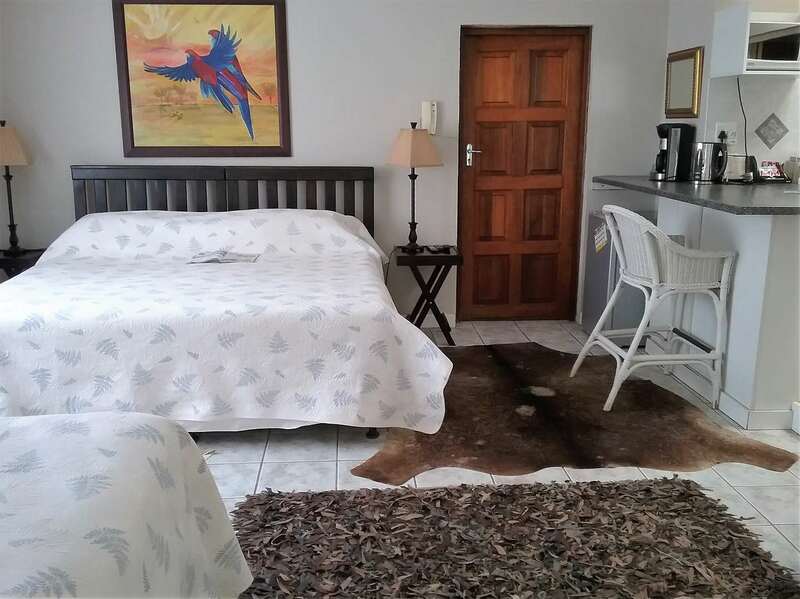 Description: Large room with king size bed which can be converted to two single beds, queen size bed TV with full DSTV and kitchenette. Can take 3 adults or 2 adults and 2 children 16 years and under. 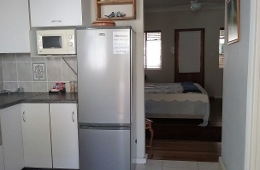 Description: King size bed which can be converted to two single beds, sleeper couch (only suitable for children 12 years and under) tea/coffee facilities, small fridge and TV with DSTV. Sleeps 2 adults and 2 children. 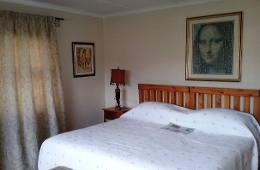 Description: King size bed which can be converted to two singles, ensuite with shower, TV with DSTV and kitchenette. 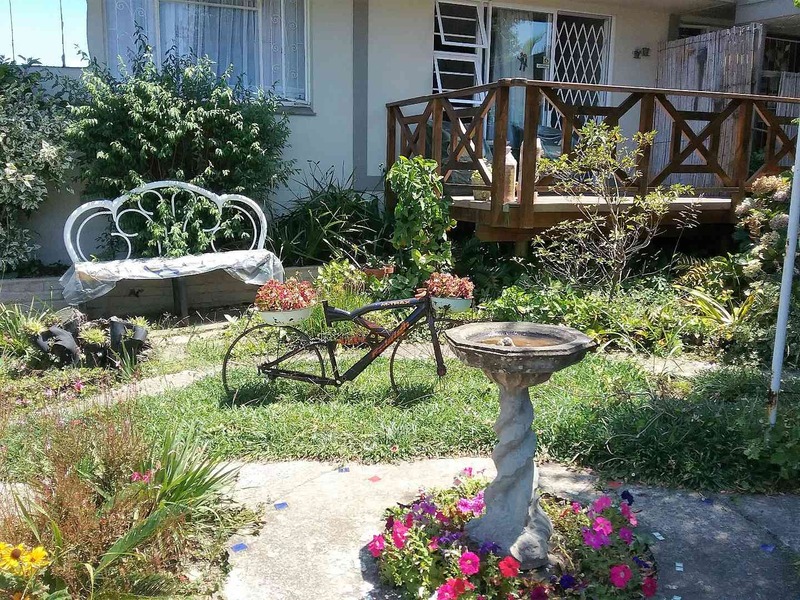 "Really enjoyed ourselves and excellent service by Linda. Thank you. 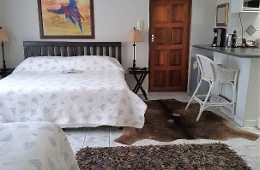 Enjoyed having you stay with us at Parrot Peek Inn. Hope to see you all again. Wishing you and your family a healthy and prosperous 2018. 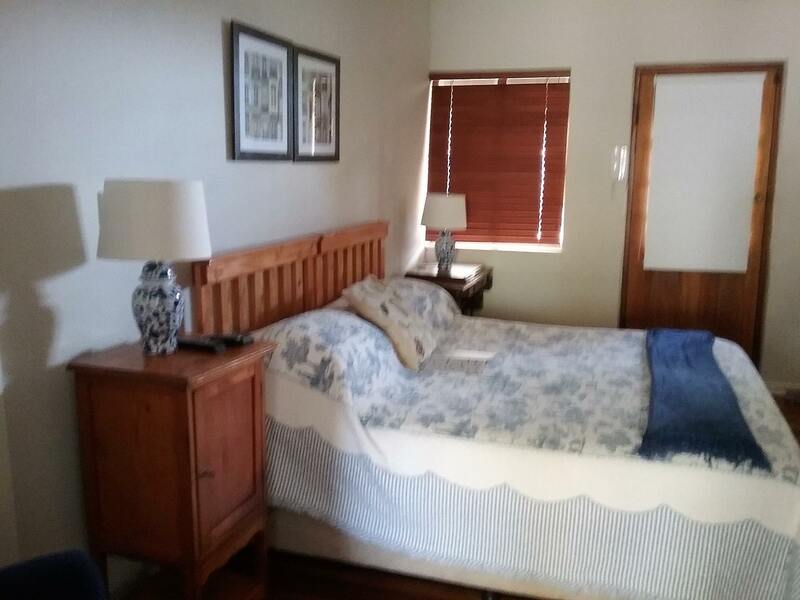 "Parrot Peek Inn was an amazing venue, the unit I stayed in was comfortable, filled with all the comforts I needed and was clean and spacious. Morne’ on breakfast duty was entertaining, knowledgeable, engaging and a good chef! Breakfast was tasty and offered everything from fruit and yogurt, to fresh..."
"Parrot Peek Inn was an amazing venue, the unit I stayed in was comfortable, filled with all the comforts I needed and was clean and spacious. Morne’ on breakfast duty was entertaining, knowledgeable, engaging and a good chef! Breakfast was tasty and offered everything from fruit and yogurt, to fresh juice and a delicious full English breakfast. The gardens were well kept and were the perfect place to escape with a cup of coffee and relax. 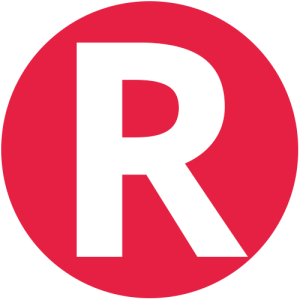 My overall experience was brilliant!" Contact Parrot Peek Inn directly. Send them an email.